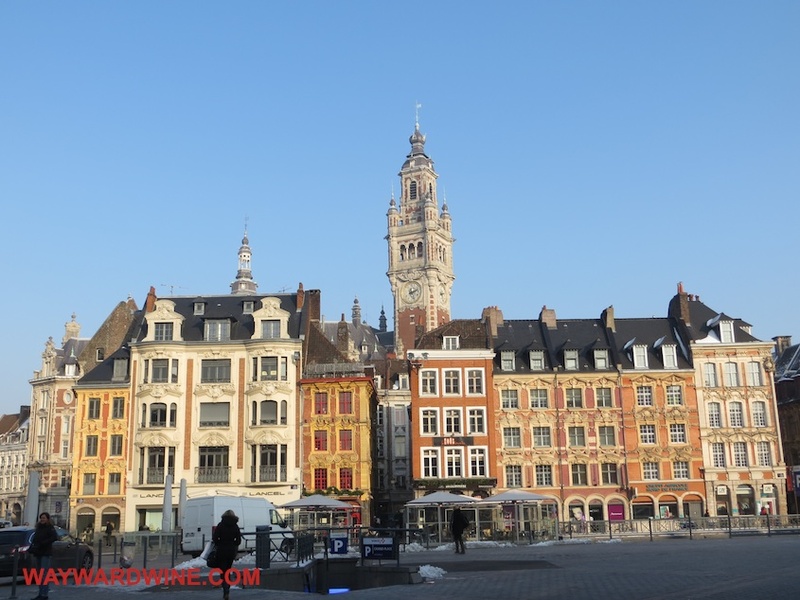 Return to France: Lille: Home of Flanders Beer and Foie Gras Macarons? This Thanksgiving we are thankful for France. So, at last, let us cross the border. 183 days have passed. 13 countries have been conquered. 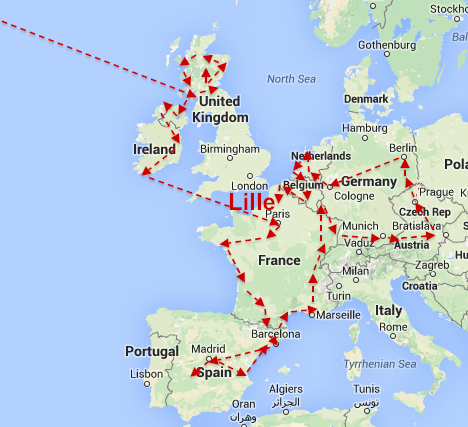 Beer has dominated our EU Austerity Drinking Tour for months. Sure, Belgian and Dutch beer shocked us into appreciation of how fine beer can be. 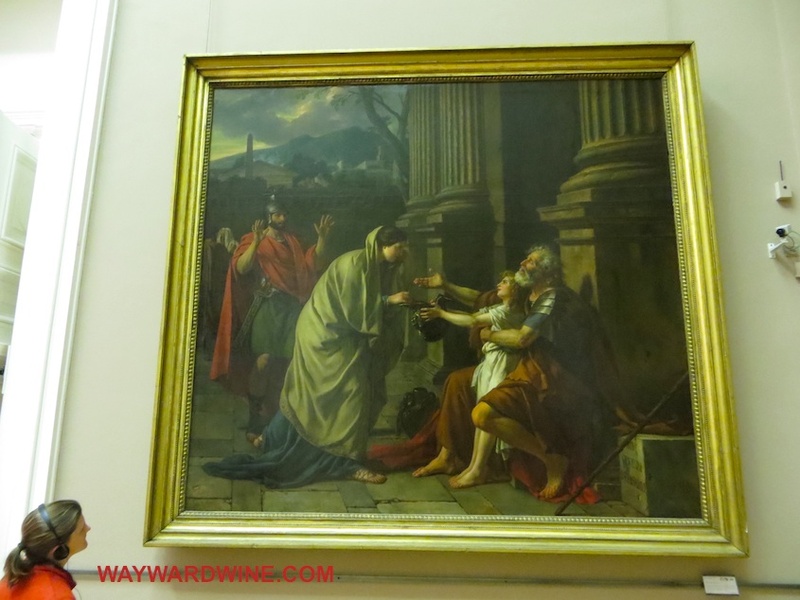 But finally, we step foot back into France: home of wine. Champagne, that fizzy light at the end of this trip’s tunnel is in sight. 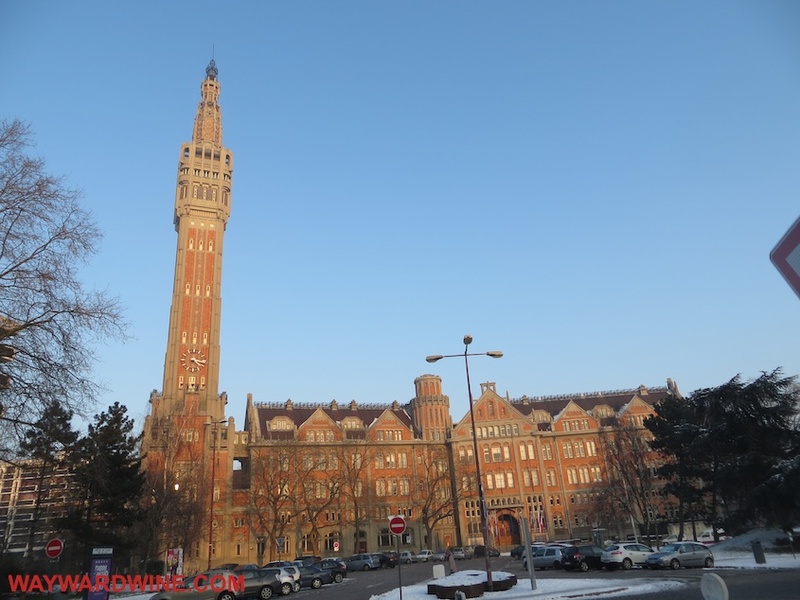 We start in Lille. Magnificent, crenelated buildings, color, and life abound in this frigid town. 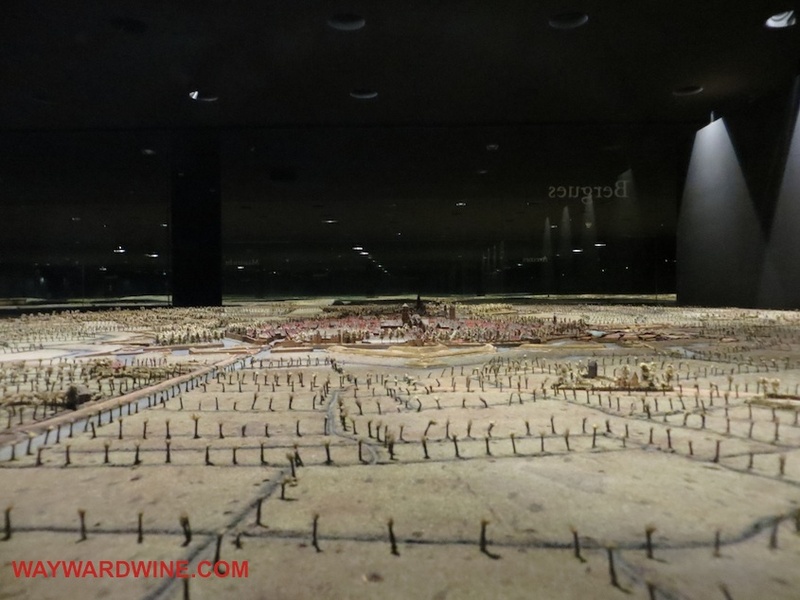 WWI and II cut gaps out of churches and city blocks. But this is fabulous France. 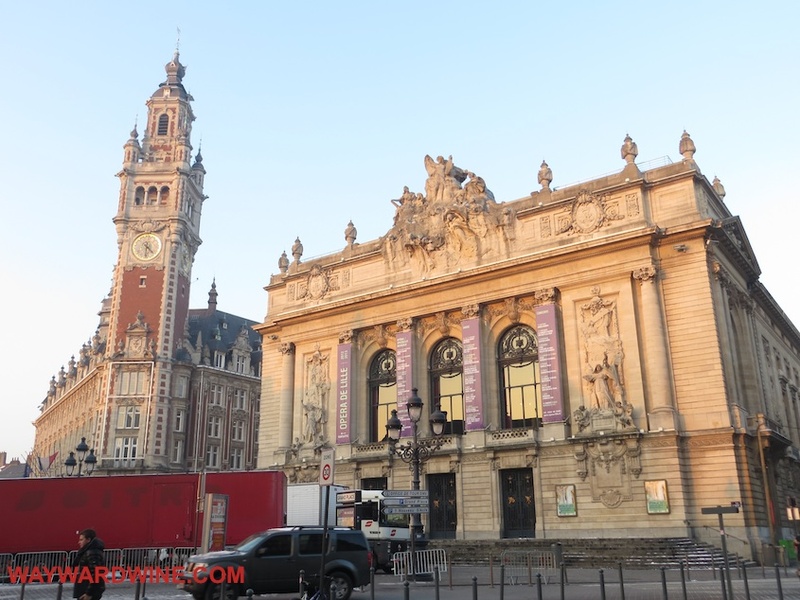 The Theater looms grand at the city’s heart. 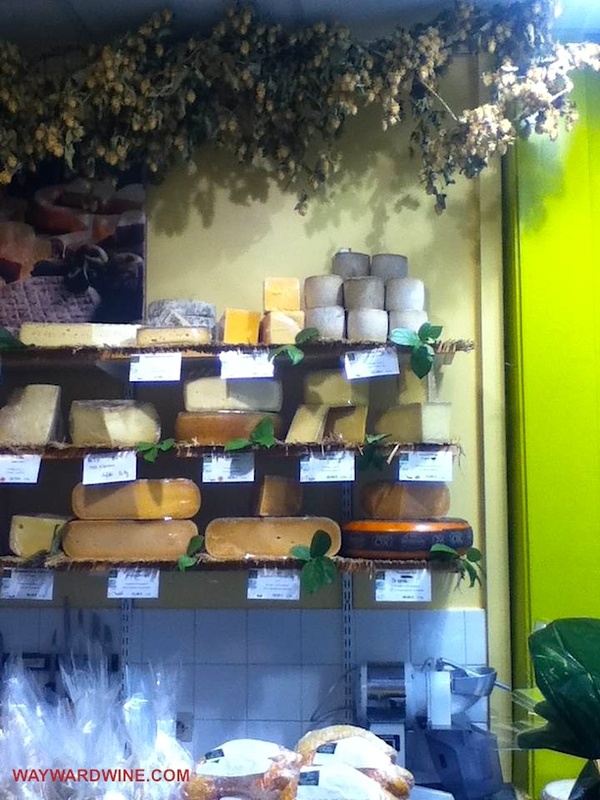 Philip Olivier’s cheeses and staff are perfect. Hops hang from the ceiling hinting at local beer to come. (I adore the health advisory that recommends at least five fruits and vegetables a day: yes, this bouger will kill you). 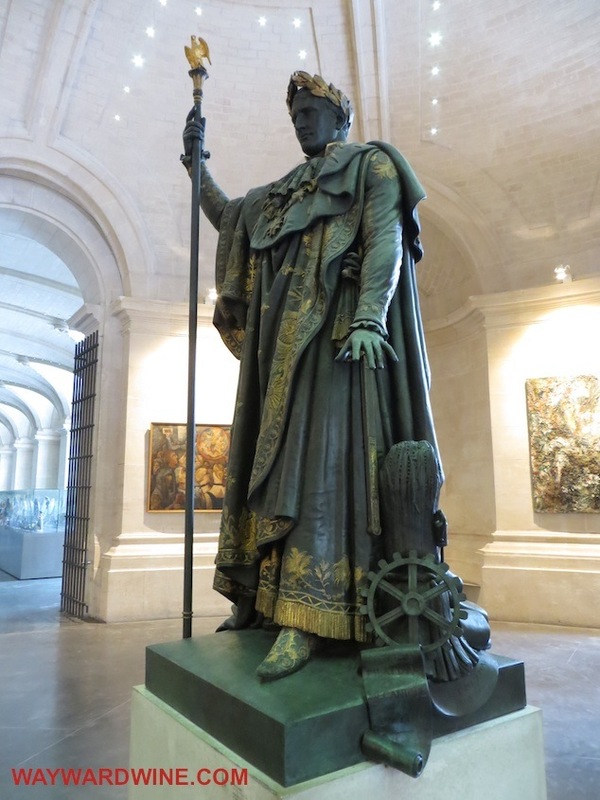 You also know this is France, when an atrium honoring scientists includes Chaptal: Napoleon’s scientist/politician who institutionalized the process of adding sugar to raise a wine’s alcohol: known as Chaptalization (he also coined the term nitrogen). APPEARANCE: looks a hazy, medium amber gold, with white fizz film. AROMAS: smell moderately intense of pinto beans, dried peas, honey. PALATE: feels off dry, pretty darn tart, mildly bitter, but warm and 8% abv, with a medium body. FLAVORS: taste more powerfully of candied grapefruit, lychee, beans, and coconut milk of medium plus length. 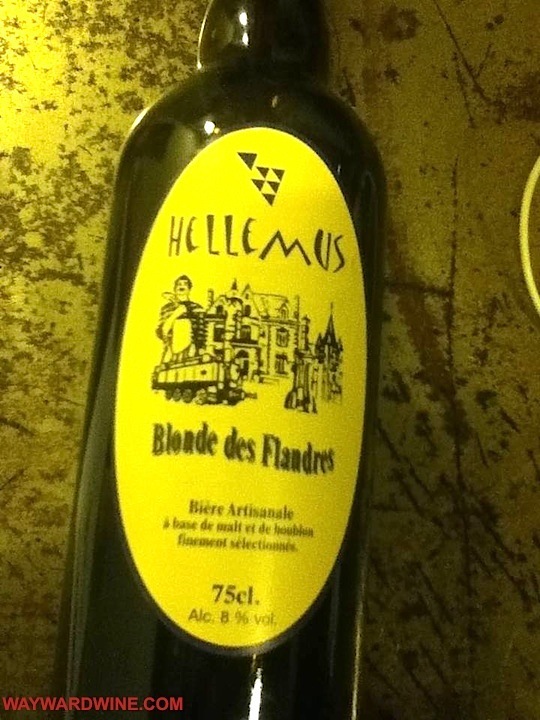 Hellemus’ Blonde des Flandres is frothy, complex, and wild. Very good (4 of 5). APPEARANCE: looks clear but also amber gold and again a very small fizz, white film. AROMAS: smell of ripe, pronounced pineapple, whisky barrel, bark, and honeycomb: fantastically complex. 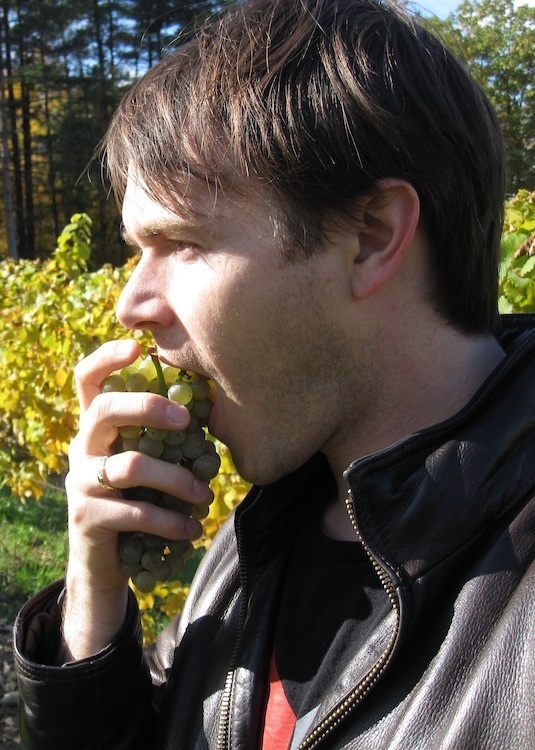 PALATE: feels drier, medium in acidity, with medium plus alcohol (7.2%), and a fuller, medium plus body. FLAVORS: taste pretty richly of roasted mixed nuts, malted bread, honeycomb, orange peel, coriander, and soft herbal hops that last forever. 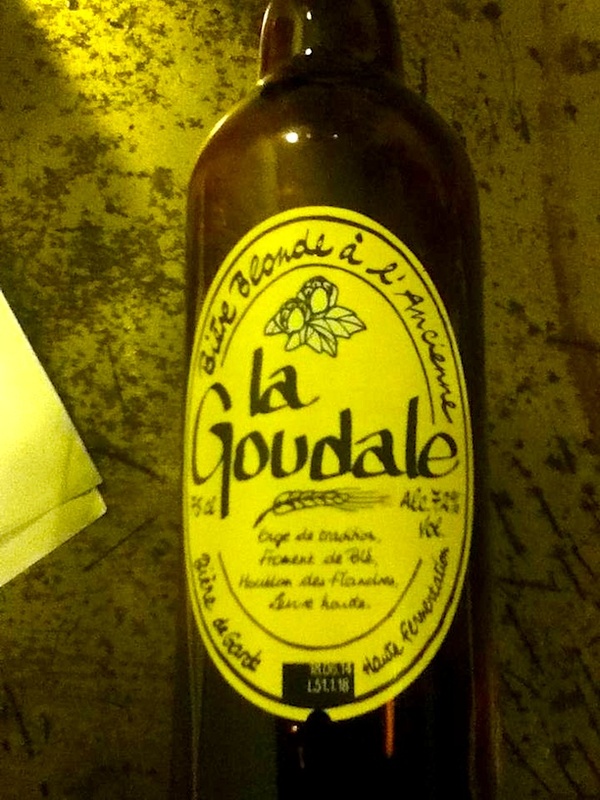 Gayant’s La Goudale is outstanding (5 of 5) beer. Well done! 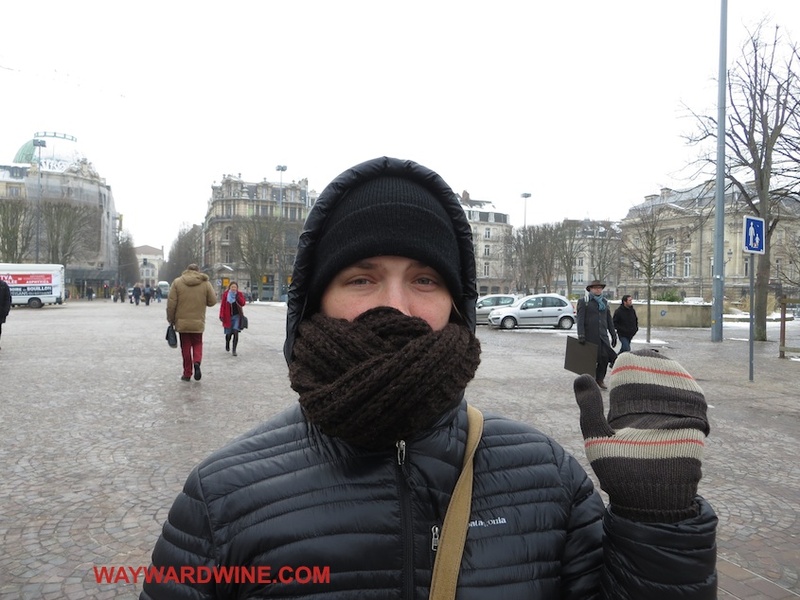 We bundle up alongside boisterous school children and return to the cold. Oh, how we missed France. Its relentless drive to make anything and everything beautiful, spontaneous, and new. Even a war map must include hand-painted house shingles. 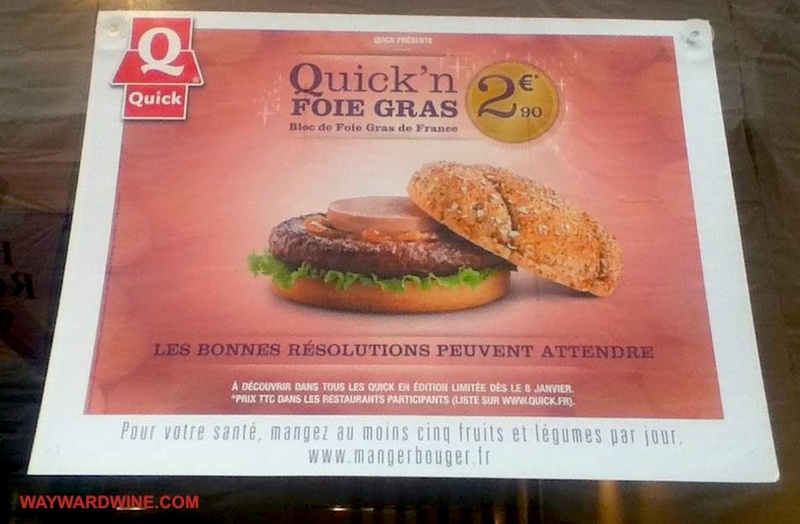 A Macaron is lovely, but why not add Fois Gras? Beer is nice, but it should taste of coriander, whisky, and pineapple! The clouds break a sunset on a Deco spaceship of brick. Our heels hurt so we head back to our hostel. 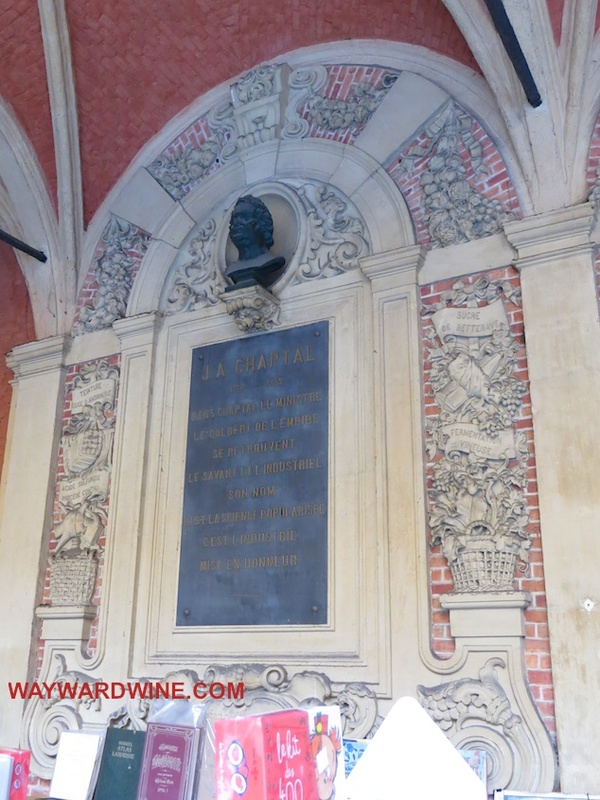 Next Monday’s post: Amiens and ever closer to Champagne! 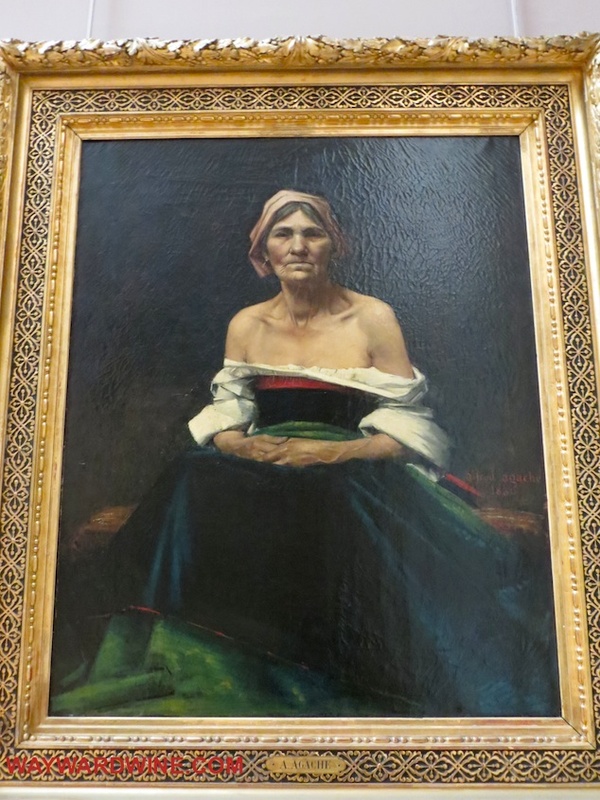 This entry was posted in Uncategorized and tagged art, Beer, blond beer, Cheese, Flanders, Foie Gras, France, French beer, French cheese, Goudale, hops, lille, museums, Quick Burger, Thanksgiving, travel, wine. Bookmark the permalink. 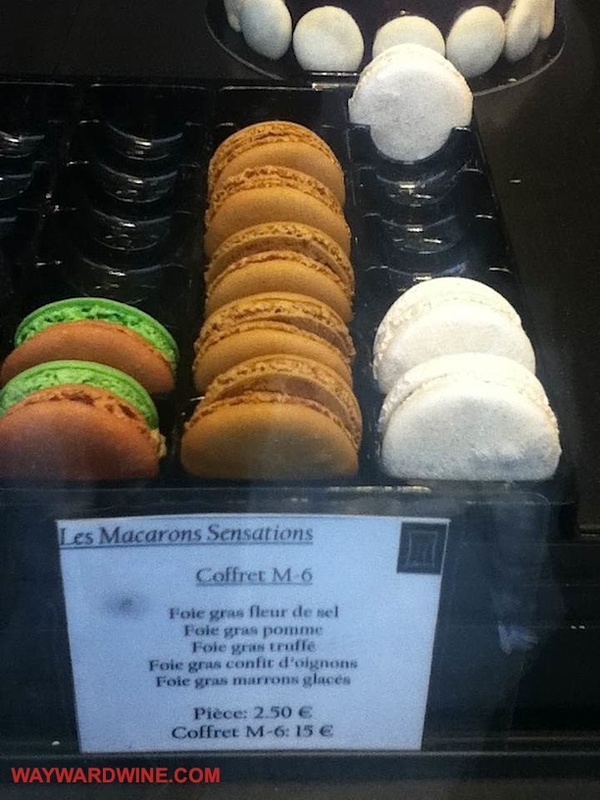 1 Response to Return to France: Lille: Home of Flanders Beer and Foie Gras Macarons?